Martyrs celebrations. Pic: Peter Harman. 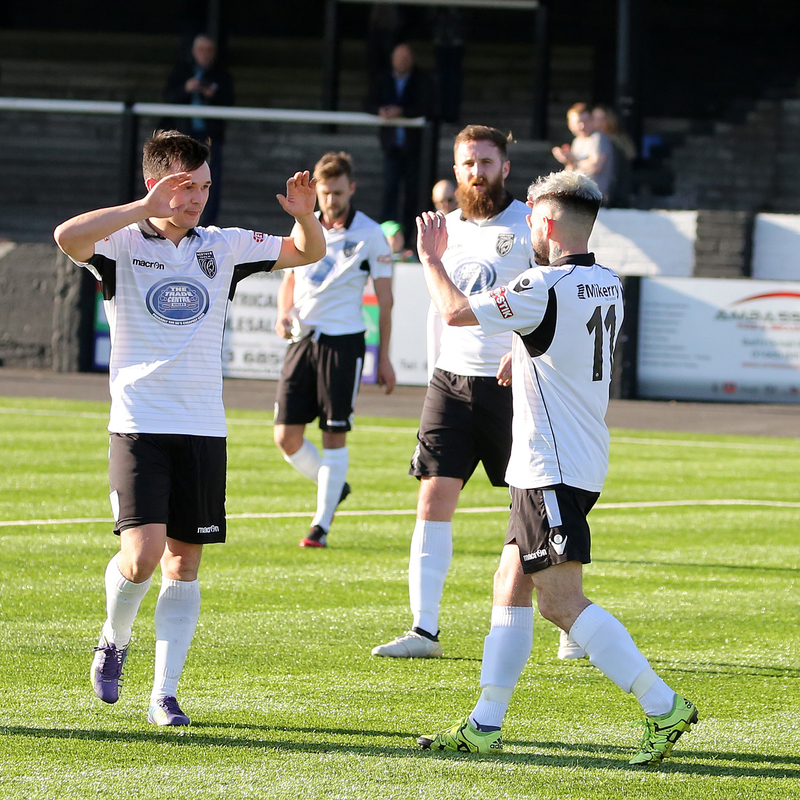 Merthyr Town are still clinging to an outside chance of earning a play-off spot as they prepare to entertain the Swans at the MetCoaches Community Stadium on Saturday (3pm). They are 11 points behind fifth-placed Poole Town with a game in hand and are at home to EvoStik Southern League Premier bottom club Staines Town tomorrow. The Martyrs still have eight games left – four home (see MetCoaches Stadium fixtures list below) and four away – and their home fixture against struggling Staines offers them a huge chance of a win to boost hopes. Surrey-based Staines, nicknamed the Swans, are bottom of Premier South, 21 points behind the next club above them, and have already been relegated. Staines have earned four wins in 35 fixtures and their goal difference is minus 82. Merthyr Town (from): Scott Reed, Adam Davies, Jay Foulston, Gavin Williams, Lee Lucas, Kyle Patten, Connor Young, Ben Swallow, Jamie Veale, Tom Meechan, Ian Traylor, Kieran Lewis, Kerry Morgan, Owain Jones, Craig Reddy. Tuesday 19 v Beaconsfield Town A, postponed. To be rearranged.